Jeff Lerner is one of the founding partners of the predecessor firm and current firm, now known as Kolpak, Lerner & Grcic. 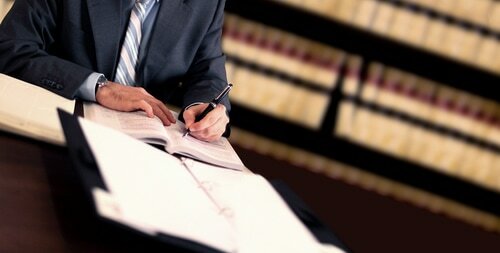 He has extensive trial experience in both criminal and civil matters on both the state and federal level. Mr. Lerner has been lead counsel and trial counsel in numerous complex matters including double homicides, federal drug conspiracies, million dollar civil cases, complex domestic relations matters, custody litigation and age discrimination cases. His extensive experience ensures that he is able to provide individualized and focused advice to his clients. Jeff can assist you with your criminal or civil matter, whether by trial, negotiation, mediation or arbitration. Jeff Lerner is a Court certified Arbitrator in the Circuit Court of Cook County and he is certified and on the approved list to appear as a Child’s Representative, Guardian Ad Litem or Child’s Attorney in domestic relations matters. Illinois Trial Lawyers Association Criminal Law Committee.